Send us your news! Email it through – SEE HERE. 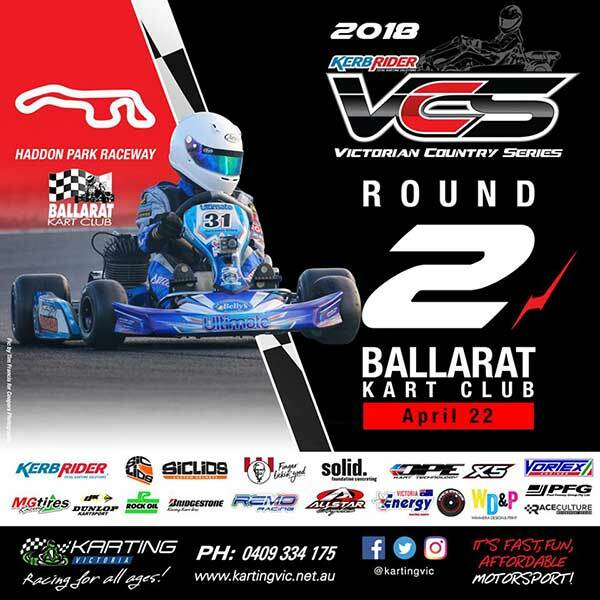 VCS CHANGE – There has been a significant change to the format of the upcoming round of the Victorian Country Series at Ballarat on April 22. 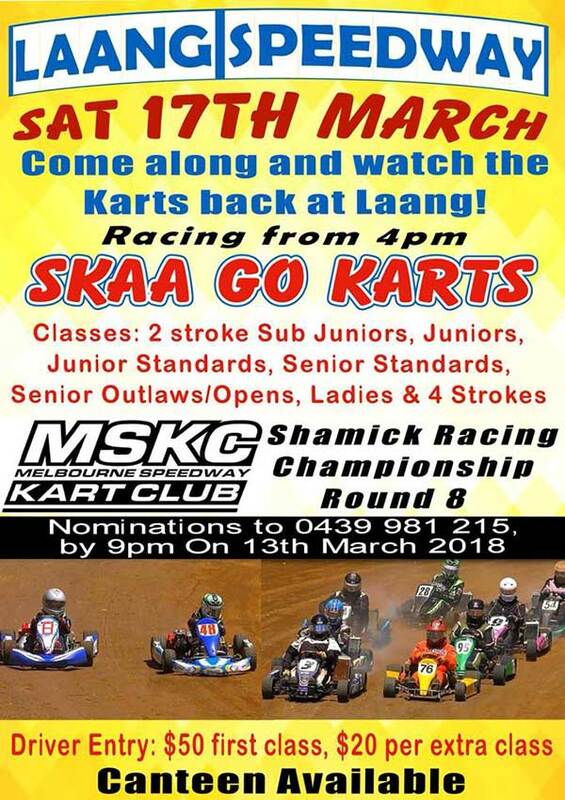 Due to the popularity of round 1, plus the lower grid capacity at Ballarat (24), organisers have penciled in qualifying for Saturday afternoon. This will allow any oversubscribed classes to run A vs B vs C heats on Sunday without cutting race laps or capping entries. “The VCS understands this change will not suit all karters” VCS posted. “We are committed to remaining a 1 day race meeting wherever possible, but no alternative was feasible.” Keeping in the spirit of a one day race meet, there will still be no practice on the Friday. The format for round 3 at Wimmera will be decided later. 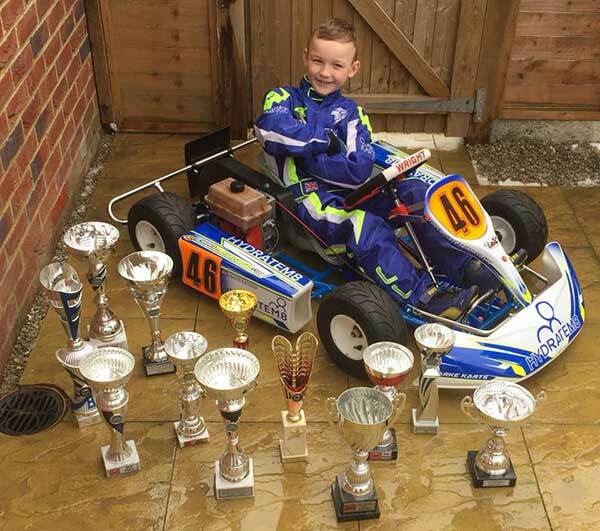 DRIVER PR – The parents of this little tacker sent in some news. 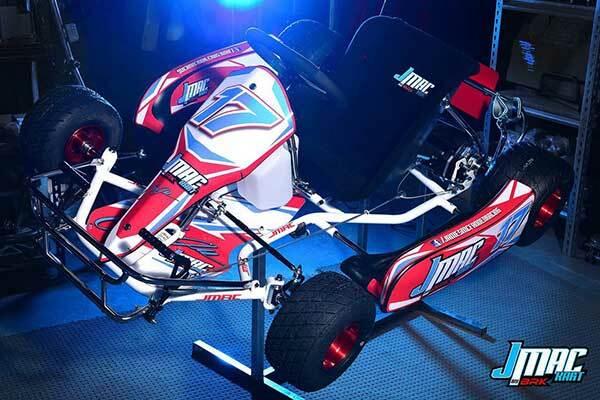 Seven-year-old Jayden Sherwood has landed a sponsor for the 2018 Bambino Kart Championship. 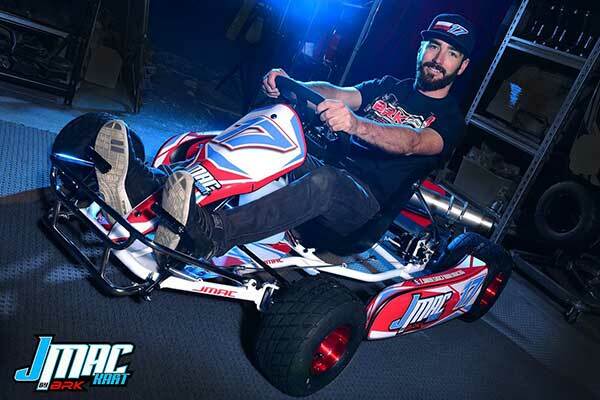 HydrateM8 is jumping onboard the UK-racer’s campaign, along with Lawrence Manning airbrushing for his helmet. WORLD TV – The newly appointed promoter of the FIA Karting European and World Championships, RGMMC, has confirmed a three-year agreement with motorsport media company Motorsport.tv. Over that time, Motorsport.tv will stream all the FIA Karting events promoted by RGMMC via its online OTT platforms. There will also be a magazine TV show of highlights over their television stations in Europe, America and Canada. 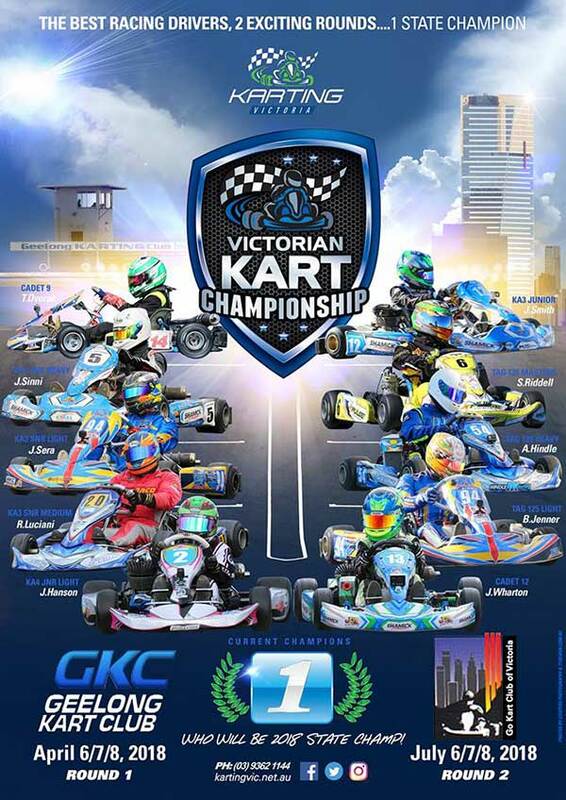 “Our goals for the FIA Karting series to increase the awareness and attract a new fan base to the sport through the advancement of media content was clear from the start” said James Geidel, President of RGMMC. “We are excited to add FIA Karting European and World Championship to our growing roster of racing content on Motorsport.tv” said Kevin Annison, President of Motorsport TV Group. 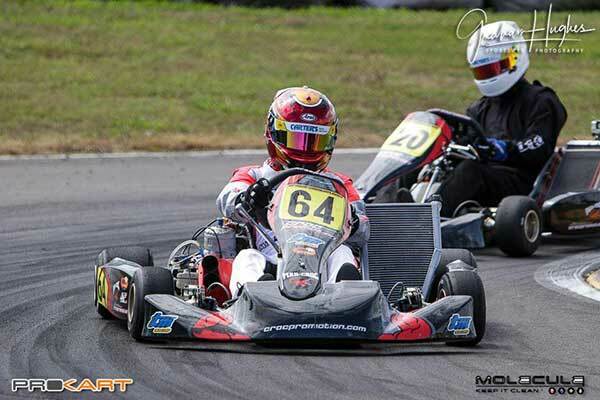 ONE LAP TOP TEN – The New Zealand ProKart Series moves to a new qualifying format at the next round at Tokoroa. The top ten qualifiers will contest a Supercars-style one lap dash Top 10 shootout. “This is going to be something special as it’s the only time you’ll ever get a chance to qualify on P1 by having the entire track to yourself” organisers said. WSK REMATCH – After snow and ice ended the WSK event at Lonato last week, WSK Promotion has announced the ‘rematch’ of the second round of the WSK Super Master Series will now be run at the International Circuit Napoli in Sarno from March 29th to April 1st, directly after the round in Muro Leccese (La Conca) on March 18th and prior to that at Sarno on April 8th. 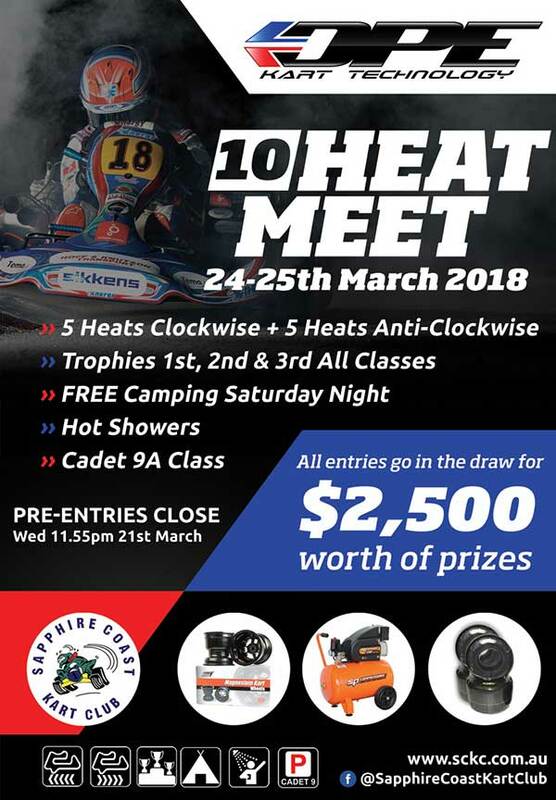 BUSY – Sapphire Coast Kart Club will run a “10 Heat Meet” on March 24-25, and it’s going to be busy with each class running five heats clockwise (reverse direction) and 5 heats anti-clockwise. The club has already fielding enquiries from the Central Coast, in-land NSW and all the way down from Victoria. Recent improvements to the facility include continuous hot water for the showers and catch-trap upgrades following a joint initiative between the club and Karting Australia to improve safety at the circuit. 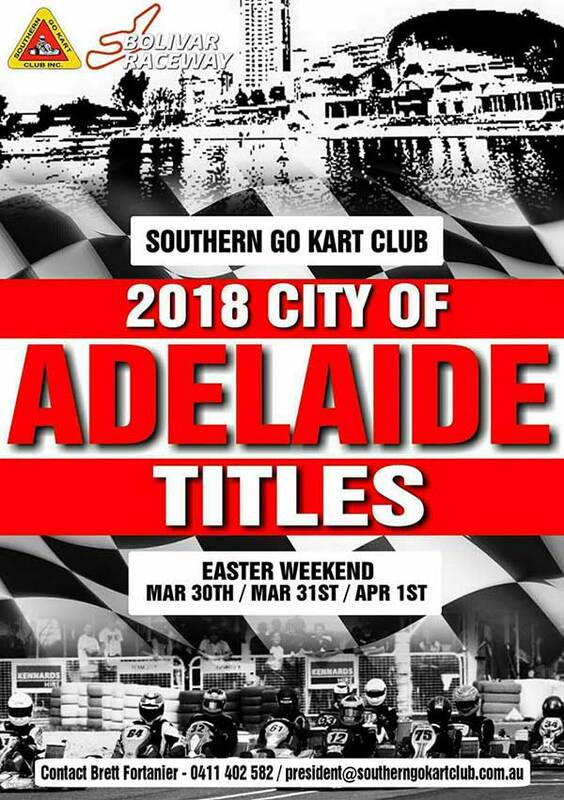 VIC STATES – Supp Regs for Round 1 of the 2018 Victorian Kart Championship at Geelong (April 6-8) are now available. 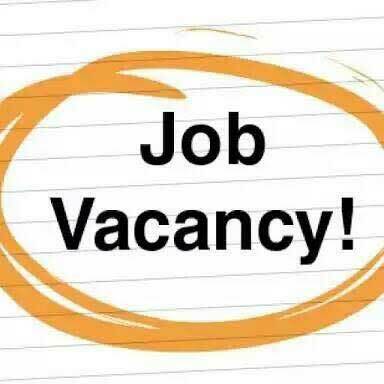 Download via the KV website HERE. The second and final round is at Todd Rd on July 6-8. 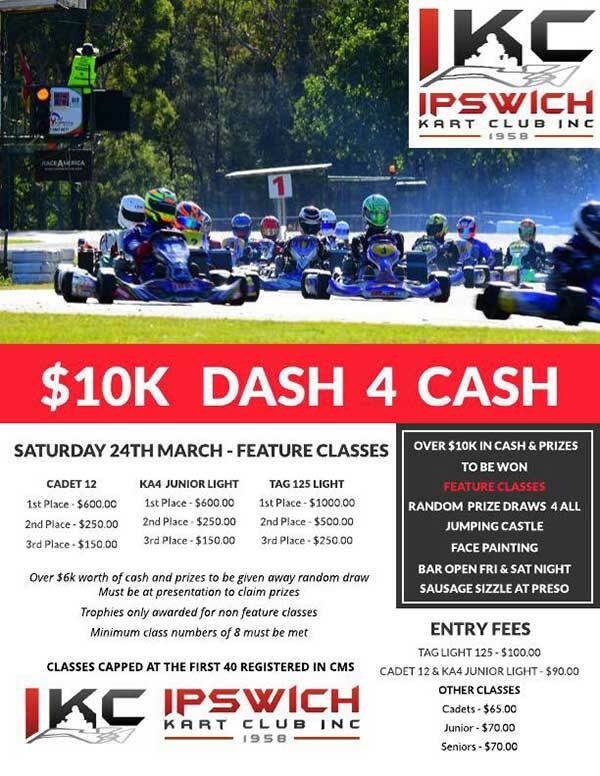 KART 2 CARS 1 – Former Australian KF2 karting champion Jack Doohan has revealed more of his foray into Formula 4. 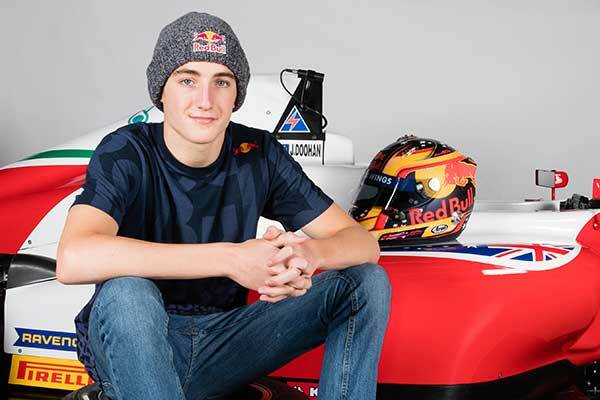 In addition to a campaign in the British series with Arden Motorsport, Doohan will contest rounds of the German and Italian F4 Championships with the Prema Theodore Racing outfit. The son of Karting Australia’s Chairman, Jack joined the Red Bull Junior Driver Program last year. 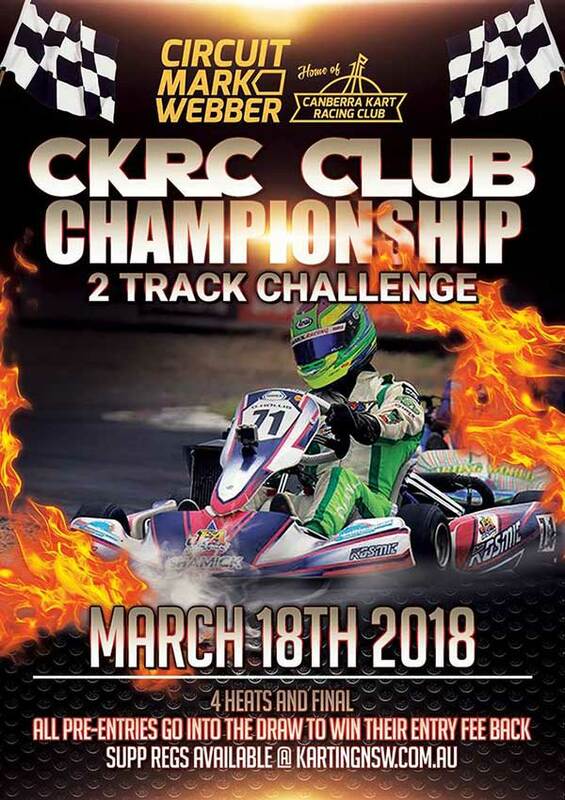 KART 2 CARS 2: Meanwhile, reigning Australian KF2 karting champion Broc Feeney is making his car racing debut in the New Zealand Toyota 86 Racing Series this weekend at Hampton Downs. 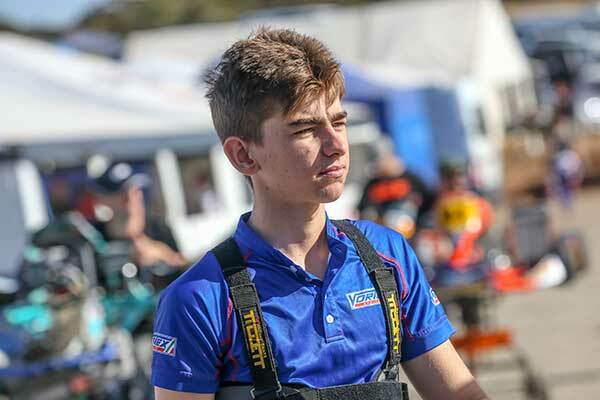 The 15-year old Queenslander will drive a Neil Allport Motorsport-prepared machine in the final round of the Kiwi Series in preparation his first run in the Australian series at Phillip Island in April. 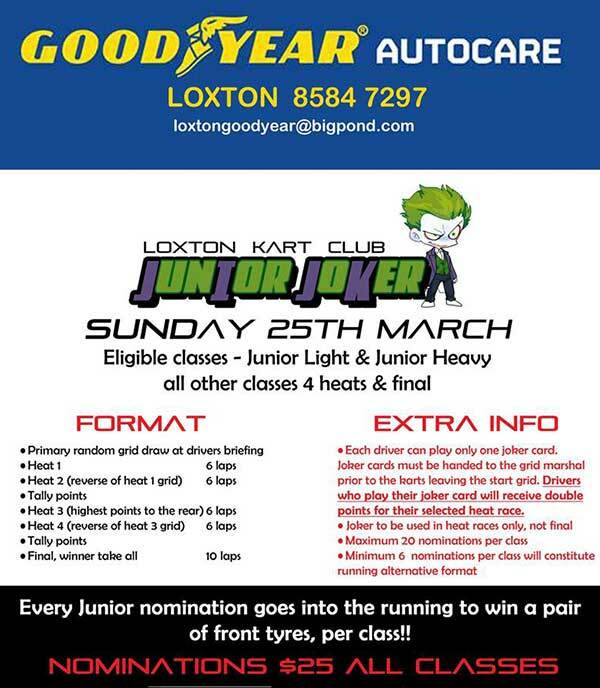 YOU’RE JOKING – Loxton Dirt Kart Club will commence their race year with the Junior Joker on March 25. Drivers will receive double points for a heat they nominate as their Joker (have to hand their Joker card in prior to the race start). Entry Fee: $25. 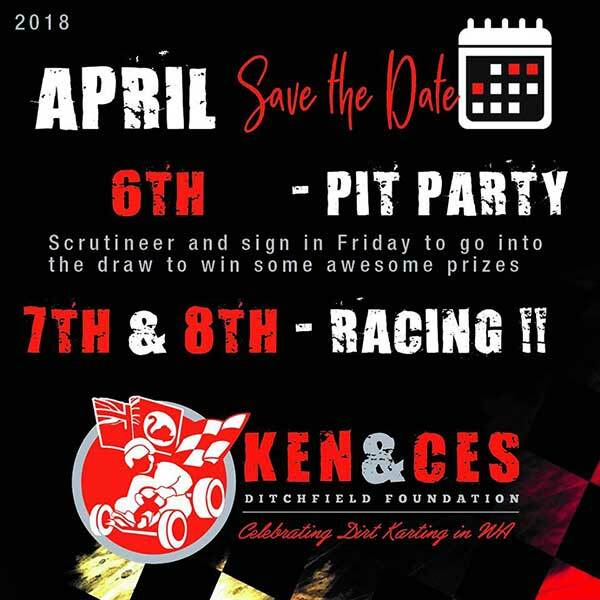 TWO WAYS – Here’s another event that goes both ways – first round of the Canberra Kart Racing Club championship, The Twin Track Challenge: 2 heats anti-clockwise, 2 heats and final clockwise.